I am happy to introduce guest blogger for Village View Post, Winfield Tillett. Winfield Tillett is the son of the late Robert (Bob) Tillett and Mavis Tillett nee Brown. His mother is still alive and residing in the Breadnut Hill area of Crooked Tree Village, Belize where Winfield was born on February 12, 1947. Because of the untimely death of his oldest brother, he is now the eldest of six brothers and seven sisters. He is presently residing in Los Angeles, California and has been living at the same address for the last thirty years. As a child, he attended the old Baptist Elementary School that was located near the village cemetery for just one week before it was closed and replaced by the Crooked Tree Government School in 1952. This new elementary school was the only one in the village where all the children received their primary school education. Because of a lack of opportunity in those days, very few villagers advanced their education beyond the elementary level. After completing the highest grade, most of the students were given the chance to take an examination in Belize City. Those who passed the examination were issued a “Primary School Certificate.” This certificate was normally required for service in the Belize Police Force. Winfield joined the Police Force and served for thirteen years, reaching the rank of inspector before immigrating to the U.S.A. While he was serving in the Belize Police Force, he received specialized training in London, England in security-related matters. 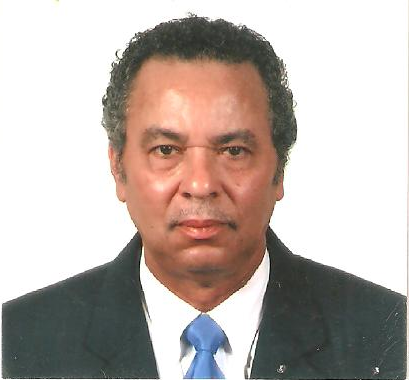 He headed the Belize District Branch of the now disbanded Special Branch Department with responsibility for travel control, port security, V.I.P. protection, vetting, and all other matters related to the security of Belize. He was the youngest officer to have held this position which allowed him access to anyone who was anybody in Belize. It also enabled him to get to know Belize probably as well or better than anyone he knows. He was also involved in organizing and coordinating most of the police sporting events and served as the Captain of the Belize Cricket Association Vice President’s Selected Side. In California, he worked as Production Manager at two different chemical plants for seventeen years, manufacturing several hundred different shampoos and cleaning detergents for domestic and industrial use. He later went into the hotel security field and is presently employed as the Lead Security Officer with the University of Southern California (USC) Radisson Hotel. He is one of the founding members of the Cal-Bel Cricket Club based in Los Angeles. Nice to know this information about Winfield. When was he in the Special Branch, what year and did he meet "James Bond"
I thought I knew Winfield, but after reading this article I realize that I didn't know him at all. I did not know that he had accomplished so much in his time at the Belize Police Force. You learn a lot when you read - the more you read the more you know. Thanks for the article Linda. Thanks Linda for getting Mr. Winfield to write this; it is really good.. I try to go to the games..but never ask me who win (LOL).. It's not the same like being back in Crooked Tree watching the game no offense to anyone. I love my family and enjoy the games when we do go. I am so proud of you. I’m glad you’re pursuing your dream of sharing your knowledge and our culture with others, especially the younger generation.